I used to live in Brooklyn Heights, billed as “America’s first suburb,” built when people first realized that living right next to New York had some advantages over living in New York itself. Because of its age, there’s a historical house around nearly every corner. One day, strolling around Henry Street on the far side of Atlantic, I checked out a plaque: 426 Henry Street was the birthplace of Jennie Jerome, Winston Churchill’s mother. Winston Churchill’s mother was American? I thought. I need to know that story. 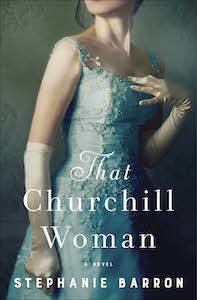 So when I saw the cover of Stephanie Barron’s That Churchill Woman, I knew it was the story I, and plenty of other people, had been waiting to read. Stephanie: It depends upon the audience I'm talking to, honestly. I hesitate to proclaim myself an historian because I left a doctoral program in history at Stanford without writing my dissertation--I am what is known as ABD, "all-but-dissertation," meaning I passed my Orals but never penned the opus. This had to do with several things: I found as I journeyed through graduate school that I was more interested in the PEOPLE I studied than in the sweeping historical trends of demographics or economics, and the field was tilted in the latter direction when I was in school. I also found the academic community less than congenial. I far prefer writing fiction about historical figures--and I draw heavily on every single skill I learned, as a student of history for seven years, to do it. 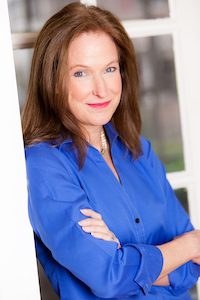 Those are techniques and principals I discuss with readers when we talk about historical fiction--so that those who like my work feel reassured that it's based on exploration of the existing record, even when I choose to diverge from it. I've been lucky enough to write about Queen Victoria, Virginia Woolf, Jack Kennedy, Ian Fleming, and Allen Dulles; most lately, of course, about Jennie Jerome Churchill, Winston's outrageous American mother. I love exploring a particular moment through the life and mind of an era's standout people. Stephanie: The effort required to unpack the truth of their inner lives from the multiple layers of obfuscation, distraction, and sheer bias that result from most women's habitual depiction at the hands of male historians. Take Jennie Churchill, for example--I have spent a lot of time researching her son Winston for several of my WII spy novels (JACK 1939, THE ALIBI CLUB, TOO BAD TO DIE) written as Francine Mathews. I grew increasingly frustrating that the parent who clearly shaped him most, his mother, was consistently dismissed as frivolous, irrelevent, self-centered, neglectful, even nymphomaniacal--when Winston himself unequivocally adored her. I stepped back and looked at the fact that most of HIS biographers were male and British, and deplored the fact that England's greatest hero was only...half-English. It is the greatest source of indignation among conservative British historians of a certain male school, that Jennie was a Dollar Princess, and independent woman raised by her father to be fearless and joyous, a woman of considerable intelligence, broad experience, virtuosic artistic ability, and strong political opinions--a woman who would have thrived in this era, but was way ahead of her own. It's been immensely satisfying to present her to a current audience, and allow them to evaluate her for themselves. My question for you: What compelled you to write WOMAN 99? Greer: I did feel compelled! I was inspired by Nellie Bly’s intrepid journey undercover in an insane asylum in 1887, but I didn’t want to write a journalist character or just replicate what Nellie had done — if you want to read what Nellie did, after all, you can read her account — and that was where Charlotte Smith came from. And the extra little odd bit of inspiration was that at the time I was obsessed with thrumming beat and threatening lyrics of the Elvis Costello song "Don’t Want to Go To (Chelsea),” which includes lines like “Men come screaming/Dressed in white coats/Shake you very gently by the throat.” It seemed like a sign to write the asylum idea I had in mind. Sometimes the world gives us a nudge.